Instruction for children ages 8-12 at V.E. Macy Park in Ardsley. Register online at Web Trac registration system. Call (914) 231-4673 with any questions. Fee is $250 per child per week. 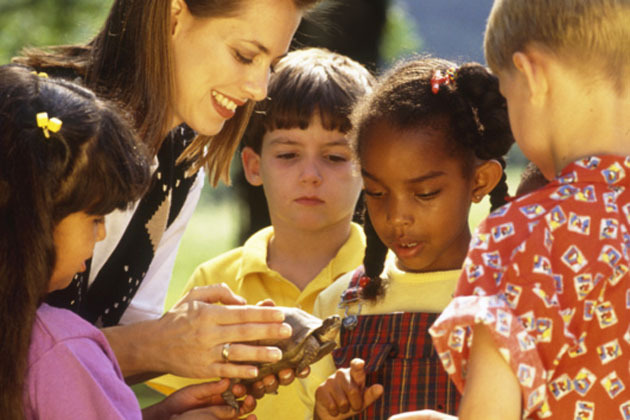 Boys and girls entering grades 1 through 12 can explore and discover the natural environment of Westchester County with fun, hands-on experiences at our nature centers. Each camp will focus on different aspects of nature with weekly themes and teach youngsters about animals, insects, plants and more. 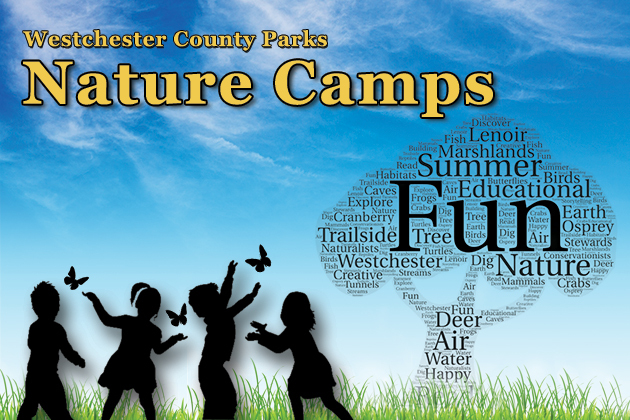 The camps are offered at five nature centers. Fees range from $300 to $750 per child. Learn more. Registration is open and online only at Web Trac registration system. Held at the Westchester County Center for boys and girls entering grades 3 through 8. Find out more from our Slam Dunk Camp brochure. Call (914) 231-4673 with any questions. Fee $350 per child per week; $300 per child team rate (for 10 or more). Conducted at the Westchester County Center in White Plains, this program provides young people entering grades 4-12 daily instruction in all orchestra and band instruments, as well as guitar and beginning piano. Runs from Monday, July 1 through Friday, August 9. Find out more from our Music Camp brochure. Call (914) 231-4673 with any questions. Fee runs from $650 to $700 per child. The Young Farmers and Wranglers camps at Muscoot Farm in Somers offer a unique and fun experience for children ages 4 through grade 8 to experience daily life on an early-1900s farm. For more information, call (914) 864-7282. Fee is $150 for Wranglers and $250 for Young Farmers per week. Hole-in-One introduces young people ages 10-17 to the fundamentals of golf under the direction of some of the top PGA pros in Westchester. 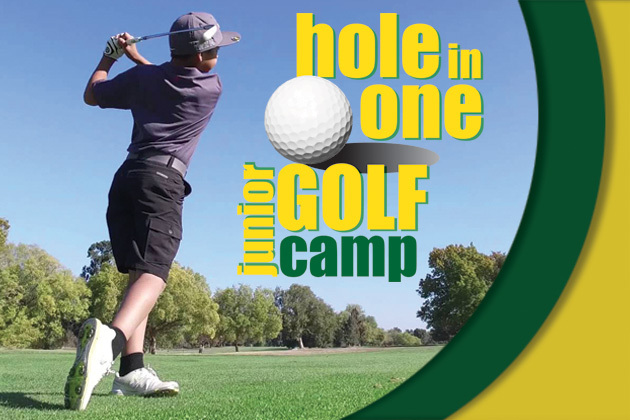 Find out more from our Junior Golf Camp postcard. Call (914) 231-4673 with any questions. Fee is $50 per child per week. 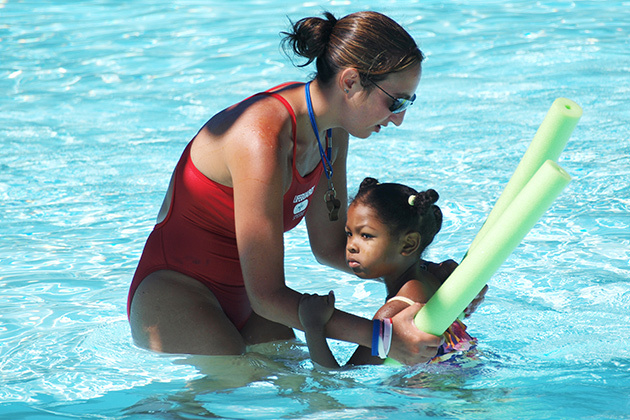 Adults and children ages from six months of age up to senior citizens can learn to swim at Tibbetts Brook, Saxon Woods, Willson's Woods and Playland pools. Call (914) 231-4556 with any questions. Registration fee is $80. Learn more. Held at V.E. Macy Park in Ardsley for children ages 6-15. Fees range from $172 to 250 per child per week.